Technology has changed our lives in significant ways, including the way we date. Modern dating, the way most of us did it, is also a result of technology. Yes, cars changed dating practices in America. Suddenly, the dating pool became much larger when one could court someone from a nearby town, rather than relying on walking or riding a horse to meet a potential mate. Our high-tech society has caused dating to evolve in a similar fashion. It has enlarged the dating pool once again. We no longer have to rely on dating people we meet at work, school, a club, or in our local congregation. Dating has reached new heights in its geographic scope. Our dating pool has gone beyond local, regional, or even national. Today’s dating pool is global. As a Marriage and Family instructor, I have witnessed this phenomenon. Each semester I ask my students to raise their hands if they would consider dating someone they met online. Several years ago, the answer was unanimous. No. Within two semesters that changed; a few people raised their hands and said they might consider it. Eventually, one or two students admitted to having dating someone they met online. Now, there are several students each semester who not only admit to finding dates online, but some have found their spouses through online dating. I had two students who took three different classes from me. The first semester they were dating. They blushed when the subject of online dating came up, but admitted that was how they met. 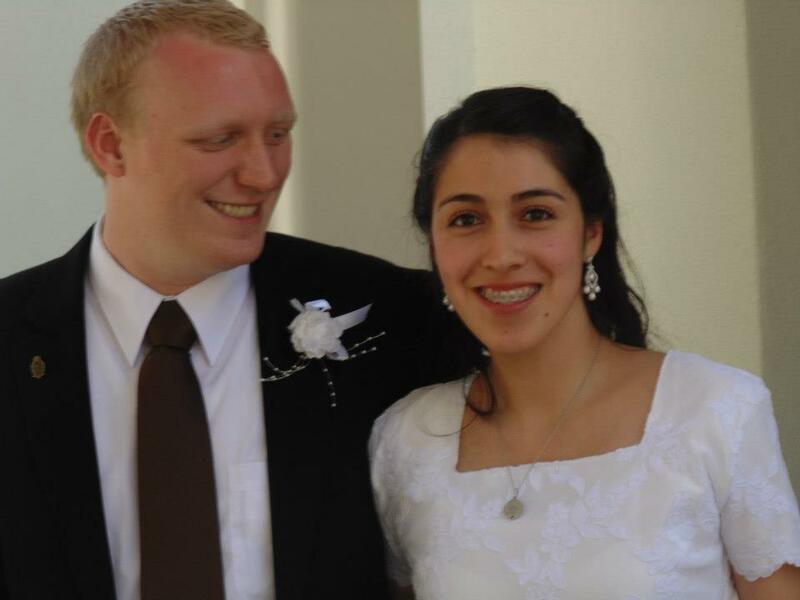 They lived in different states and met on a Christian singles dating site. The next semester I had them, they were engaged. I had the privilege of attending their wedding and now they are happily married students pursuing life together. Another student met her husband online. While she attended school in Missouri, she spent breaks going to Florida in order to become better acquainted with her fiancée and his family. They both live in Florida now and are happily married. After my son returned from Argentina, he became acquainted with a young woman from Chile whom he had met only once or twice while they were both in Argentina. After becoming facebook friends, and then talking on the phone, then Skyping for a year, my son traveled to Chile. They are now happily married and I'm thrilled to have her for a daughter-in-law. So, this isn’t the first time technology has changed the way we date. Back in 1939, when my grandparents eloped on a motorcycle (and her father wasn’t very happy about it), the technology of the day enabled them to date and marry. At first we were non-verbally criticized and judged for how we met (On an online video game by the way!) one teacher even asked "have you even met each other?" when I told my class that I met someone online (She was criticizing online relationships) i thought, umm do you think we're completely insane? Of course I've met him and his family, friends, and co workers! It may not have been the most common way to meet someone and definitely was not where I assumed I would meet the love of my life and future husband, but I wouldn't trade it for the world and I don't see how we met as any less special than meeting someone under any other circumstances. A love story is a love story. Where and how you met is part of your love story, it adds to the uniqueness of your early relationship.